Modern Steel industry can be dated back to 1850s. Since then, a new easier way of manufacturing steel was possible. The UK was the main steel worldwide supplier for most of the 19th century. Yet, by the end of the century Germany was catching up on Britain’s supply and the US had started its own domestic steel production. In the 20th century, steel manufacture intensified due to the high demand for weapons in the World Wars. Production grew roughly 3.3% annually, meaning a final increase from 28 to 781million tonnes! After WWII, steel production diminished in Western countries, but only to develop elsewhere. In the 1950s, China established a plan for economic development focused on steel production, which would have made China a metal’s mass producer within the next 15 years. Indeed, China became the major producer and consumer of steel in the 1970s and it still is today. Currently, China produces almost 50% of the world’s metal. India and South Korea also showed large steel industries, producing over 100 and 71 million tonnes respectively. Overall, steel production seems to increase during countries’ ‘developing’ stage and then ceases when the country becomes –so called- ‘developed’. Does this make of steel the symbol of economic development? Will this hold for future ‘developing countries’? Some evidences suggest the opposite. Global steel production was 1.647 billion tonnes in 2017 and it is estimated to reach 1.87 billion by 2035. This is a minor increase compared to the previous centuries. Between 1974 and 1999, human labour cuts in the industry have also been reported in both ‘developed’ and ‘developing’ countries, suggesting a possible shrinking. Steel proved to be sensitive to the financial crisis as well, after which demand slowed down from 5% to 1.1%. Due to steel’s large use in constructions, a fall of the housing market meant a 40% drop in the metal’s demand and prices. Overall, future developing countries seem to be less Steel-intensive in their economic development. Likewise, ‘developed’ countries are starting to use ‘new’ metals for infrastructures and China’s extensive growth –largely based on steel- is not expected to last forever. Finally, recent US-China trade restrictions hint further turmoil upcoming on the market. At Shanghai Metal Corporation, we are passionate about the markets in which we operate. 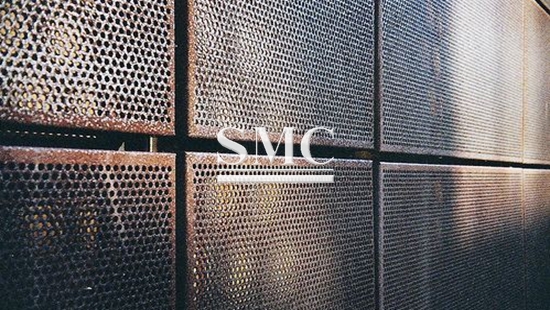 Since 1980, SMC has developed the technology and professionalism that can advise you on high-quality items. Carbon Alloy Steel, Steel Wire & Cable and Steel Sections are a few examples of categories comprising the large range of products we offer. For further information and a full list of products, please click here.